A modern fable in one act by Frank Moffett Mosier. A conversation between an eagle and a rock, in which the world and the human race are discussed from an outside point of view. Features Joseph M. Hamer as the eagle and Bill Wiley as the rock. Directed by Sarah Schilling. Mosier is billed as a Ford Foundation recipient, member of the New Dramatists, and winner of an observership in the Playwright's Unit of the Actor's Studio for his play "Op." 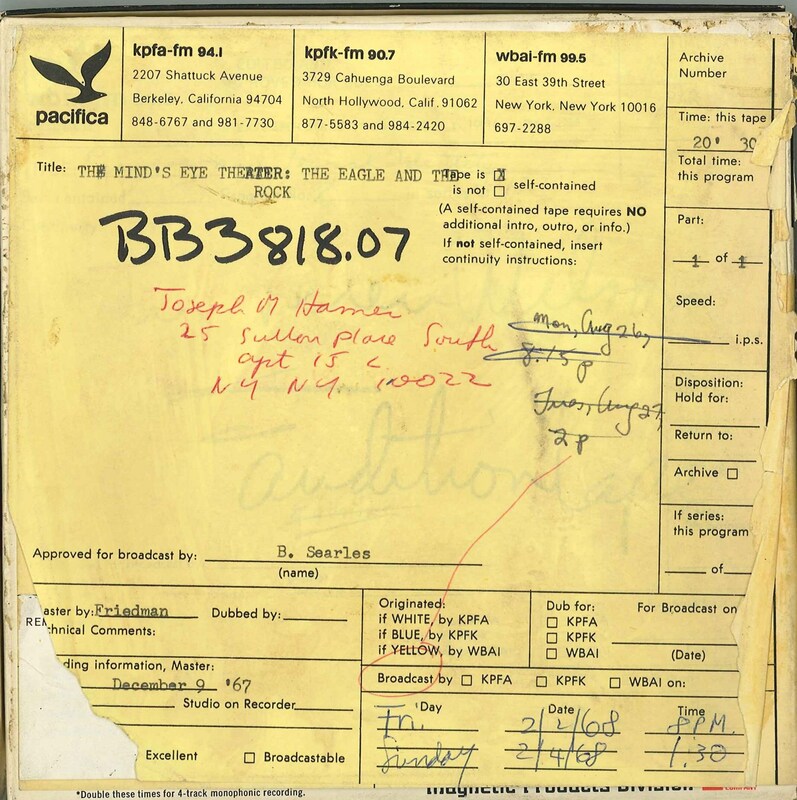 This recording was formerly cataloged as BB3818.07. 1 reel (21 min.) : 7 1/2 ips, mono.